Manly's neighbourhood Mexican joint has jumped the harbour to open a stunning new restaurant on Clarence Street. 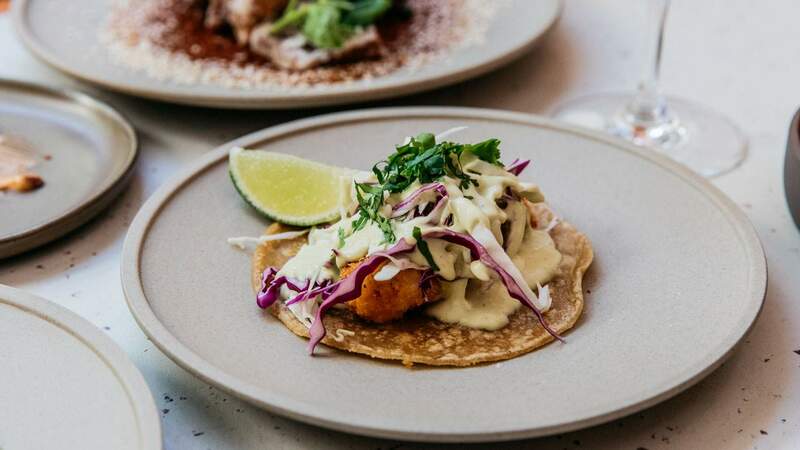 If you’ve been catching ferries to Manly to feast on Chica Bonita’s famous fish tacos, you’re in luck. 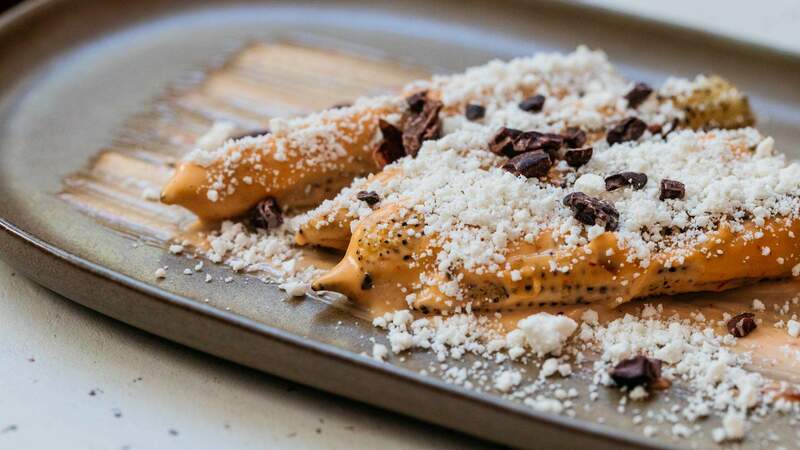 The much-loved neighbourhood eatery, which has been serving up Mexican street food since 2012, has opened a second outpost in the Sydney CBD. Neighbours include The Baxter Inn, The Barber Shop and The Duke of Clarence. It’s a distinct change in scenery. 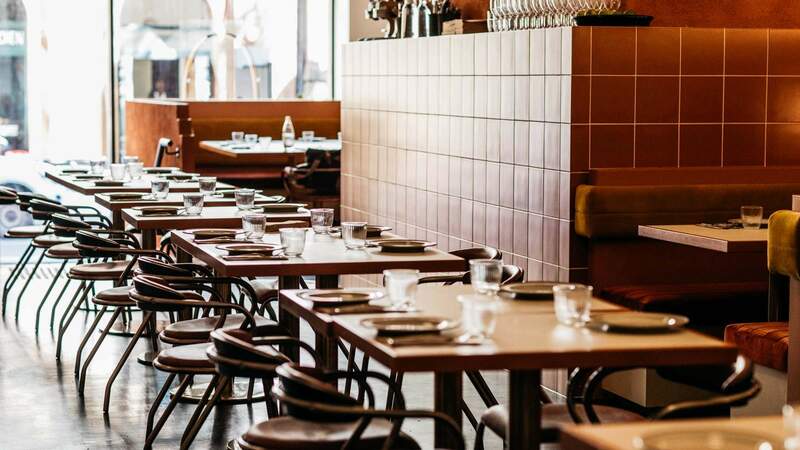 With 100 seats inside a high-ceilinged heritage-listed building on Clarence Street, Chica Bonita CBD is twice the size of — and worlds away from – the original diner on The Corso. That means there’s more room to move — so you can look forward a bunch of new dishes and a sizeable wine list, including a handpicked selection from Mexico. 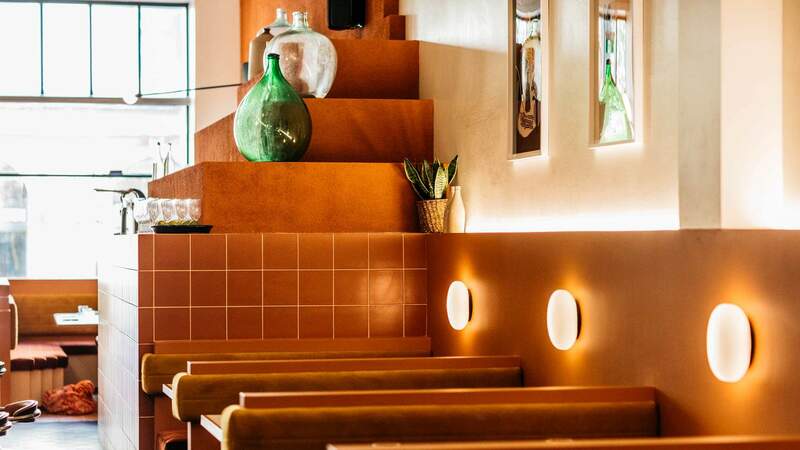 Meanwhile, the design takes its cue from the earthy colours and organic shapes of Adobe architecture. Chica Bonita opened last week and we’ve had a look-in. In partnership with Zantac we’re uncovering the best new restaurants and bars around Australia as they open. We’ve got the lowdown on the team, the design and — most importantly — the menu so that you can head in educated, excited and ready to take it all in — with a few dishes recommended by the chef, no less. That was seven years ago, when the two opened the original Chica Bonita. Three and a half years later, they went Japanese, with Sunset Sabi, also in Manly. 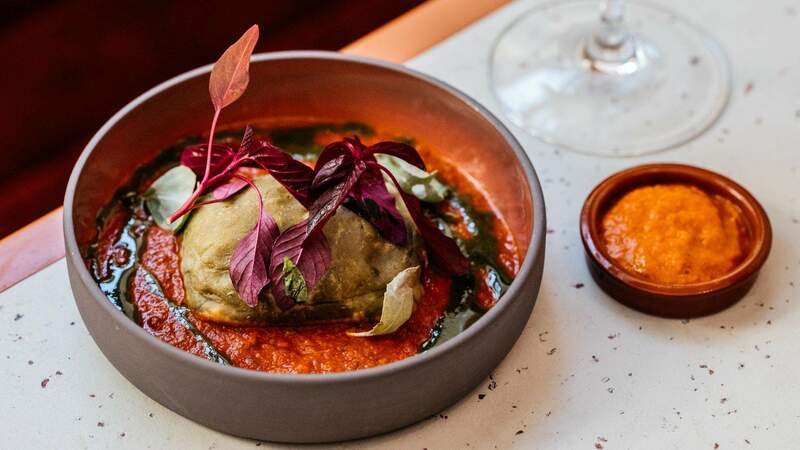 Chica Bonita CBD is the third project they’ve embarked on together — and, to get it right, they’ve enlisted a cracking team. To match his creations with a next level wine list, the Millers called in consultant Dan Simmons of Captains of Trade, a distributor that focuses on small batch and sustainable drops. And taking care of the cocktails is barman — and general manager — Toby Hiscox, who’s responsible for Chica Bonita’s legendary jalapeño margaritas. Mexican-inspired design often features bright colours, skulls and flowers. 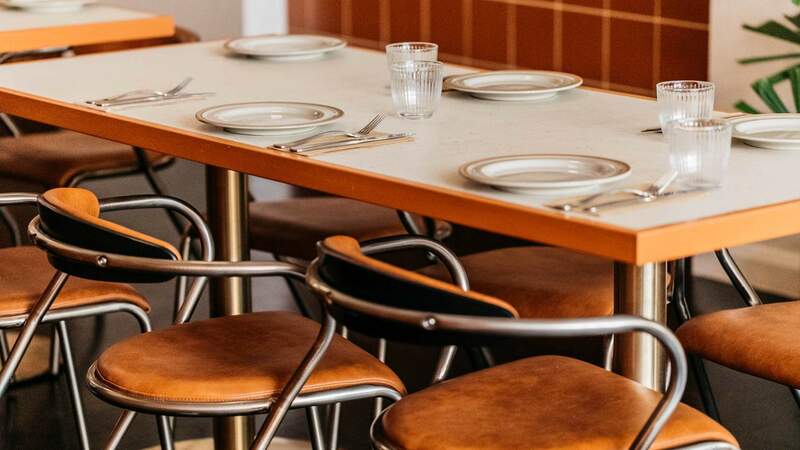 But, Studio Gram — which has done the interiors for Hotel Harry, Deus and Adelaide’s Africola, among others — decided to go for something more restrained. “We wanted to keep the fun, but move away from the oversaturation,” says co-founder and designer Graham Charbonneau. “So, we looked toward the desert – to Adobe architecture, with its mud brick and clay. That drove ideas of softness, in the shapes, materials and colouration.” Ideas also came from the building. Built in the 1890s, it was the first home of Cue fashion and, before Chica Bonita moved in, belonged to a bicycle shop. The space is a long rectangle, split down the middle by broad, high arches, which create a natural boundary between the open kitchen and bar, and the dining area. On walking in, you’ll notice a central spine of free-standing tables and chairs, and, against one wall, a row of comfortable booths. The colour palette, based on terracottas, browns and whites, is subtle and calming, with pot plants adding pops of greenery. A nice design feature is that the restaurant is also accessible at the back via a roller door that backs onto the laneway. This, according to Charbonneau, allowed them to “connect with both sides of the building”. With a bigger venue at their fingertips, Sean and Luke saw an opportunity to take Chica Bonita’s food offerings up a notch. Don’t panic: you can still tuck into fish tacos with baja sauce, cabbage, coriander and lime to your stomach’s content. But, Huera, who grew up with a mother and grandmother who loved to cook, has brought in some dishes of his own. “We used to go to my grandmother’s house every Sunday and she would cook a big feast for all of us. She would buy everything at the market the day before, then wake up at six o’clock to start.” And his mum’s cooking was so delicious that other people ordered her dishes. 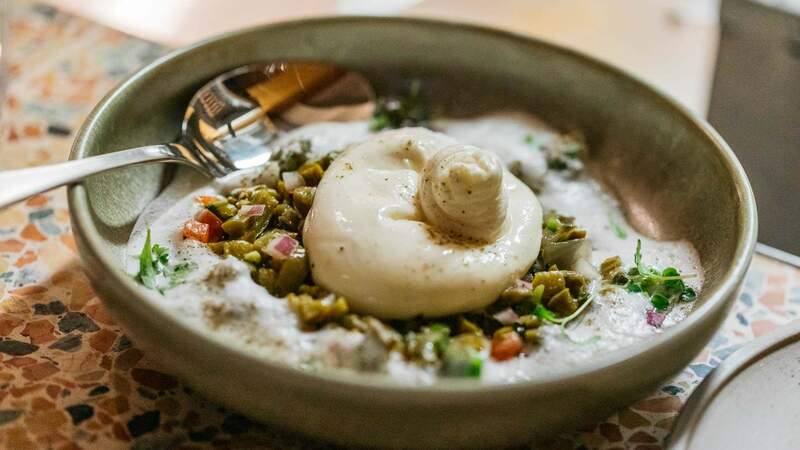 On top of honouring family tradition, Huerta adds twists of his own, often drawing from Australia’s pool of native ingredients. 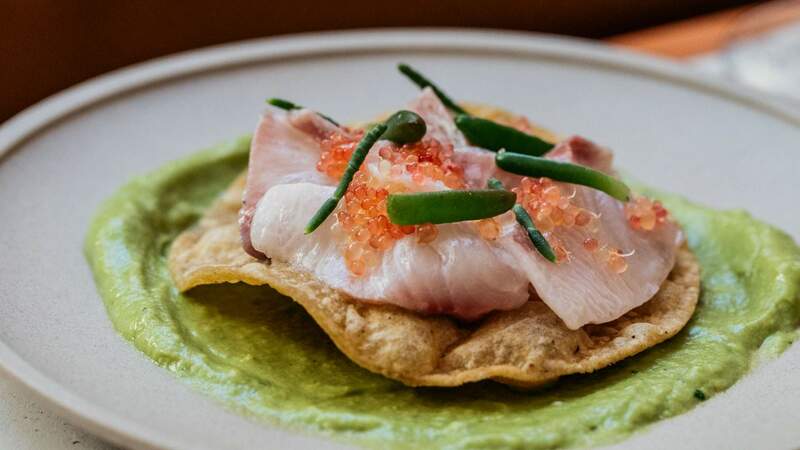 In his nopales (cactus) salad, there’s lemon myrtle, while the kingfish ceviche tostada comes with avocado, karkalla (sea banana) and finger lime. The wine list has been expanded to 50, of which around 12 are available by the glass. They range from classics to minimal interference and experimental drops. Australia gets the biggest representation and there’s a few from Mexico, too, including the 2016 Casa Magoni Manaz (a mix of vigonier and fiano) and the 2015 Hemisferio Tinto (petit syrah and merlot) – both from Valle de Guadalupe. On the cocktails list, look out for four types of margaritas, as well as some new concoctions, like the Rosemary Nectarine (scotch, rosemary and nectarine shrub) and the Chica de Blanco (gin, lemon, cinnamon and fig). So what should you order? The guys have spent months this menu, so we thought they’d be the best person to ask. Here are five picks from the Chica Bonita CBD menu. 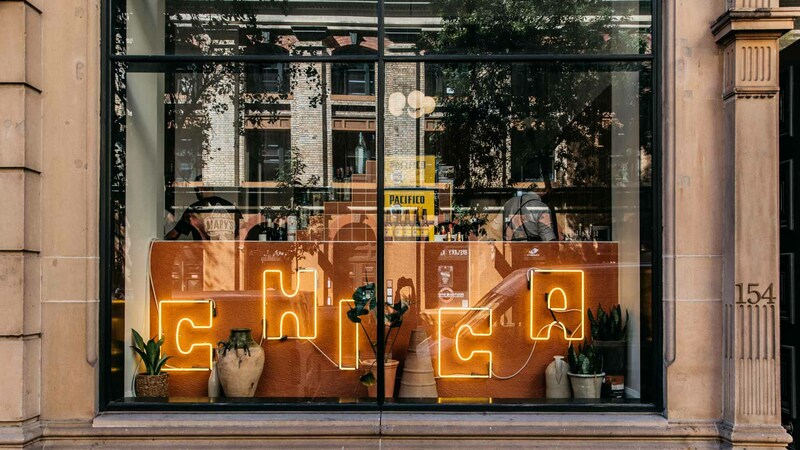 Chica Bonita CBD is now open at 156 Clarence Street, Sydney. For more info, visit chicabonita.com.au/cbd. To find out more about Zantac, visit the website. Zantac relieves heartburn. Always read the label. Follow the directions for use. If symptoms persist, worsen or change unexpectedly, talk to your health professional. Words: Jasmine Crittenden. Images: Kitti Gould.